Dr. Patrick recently finished her dual doctorate degrees in medicine and psychology at Loma Linda University. She was in Michigan to complete a residency program in psychiatry. 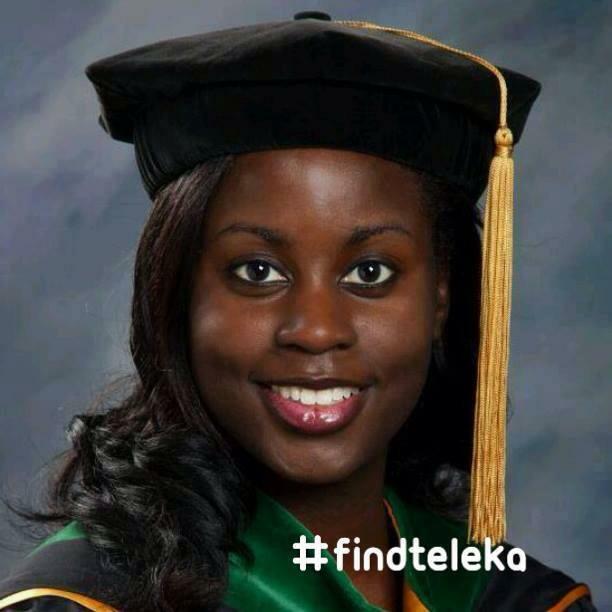 Dr. Patrick’s father is a pastor in Florida which has rallied the religious community to help find her. The vigil is planned for tonight at 6:00 pm at Trinity Temple SDA Church 1615 East G Ave, Kalamazoo Township, MI 49004. Family Members of Teleka Patrick posted flyers in Portage and Gary this weekend. missing since Friday, December 6th, 2013.
or the Kalamazoo County Sheriff’s Department at 269-383-8748. The Indiana State Police and Kalamazoo County Sheriff’s Department are asking for any assistance in locating Teleka Cassandra Patrick who has been reported missing since Friday, December 6th, 2013. Teleka Patrick, 33 of Kalamazoo, Michigan was reported missing on December 6th when she failed to report for work in Michigan. She was last seen Thursday, December 5th, evening when she was dropped off at her vehicle in the parking lot at a medical center in Kalamazoo. Patrick’s gold 1997 Lexus ES300 was found abandoned by a trooper late Thursday, December 5th night on I-94 west bound just east of the Porter/Burns Harbor exit in Indiana. Patrick is described as having black hair, brown eyes, 5 feet 7 inches tall and 160 pounds. they asking anyone who may have seen Patrick, possibly gave her ride or have any information about her whereabouts to call the Indiana State Police at 219-696-6242 or the Kalamazoo County Sheriff’s Department at 269-383-8748.